Baldassarre Peruzzi's design for the Carpi Cathedral dates back to 1515 and was praised by Giorgio Vasari, who admired the building's model in his famous volume "The Lives" for its use of Vitruvius' techniques. Peruzzi's patron, Prince Alberto Pio wanted to turn Carpi into a new city boasting a huge square and a church the size of St. Peter's in Rome. Building commenced, but was interrupted ten years later by the fall of the Pio family. The foundations for the apses and transept had already been laid, but it took 80 years for the project to continue. This included a number of changes to the original design too, as in the 17th century, the new lords, the Dukes of Ferrara, did not have the vast financial resources the imposing construction required. Work went ahead, but the cathedral's definitive design was only achieved in 1883 with a number of adjustments made by Achille Sammarini. The Latin cross floorplan of the cathedral has three naves and is completely frescoed. Up until the earthquake that struck Emilia Romagna on the 30th May 2012, it was lit by a traditional lighting scheme. The restoration project introduced after the earthquake included a tender for a new LED lighting system that was won by Lectron. The cathedral has a vast transept with 2 side chapels and a large presbytery area that ends with a deep apse with two octagonal chapels. It also has a very high dome (48 metres) that was lowered in 1771 on account of static problems. The new lighting system features about 400 special DALI system Front Lights fitted with a special “telescopic” rod used to attach the products to the solid part of the cornices. These cornices have different depths, so these rods also allow the luminaires to be connected to the power supply supplied via a track bar. In the cathedral there are two levels of cornice the luminaires are installed on. Those on the lower one (8.80 metres high) light the side naves, while the floodlights on the higher one (15 metres high) directly or indirectly light the central nave, presbytery, apse and side domes. 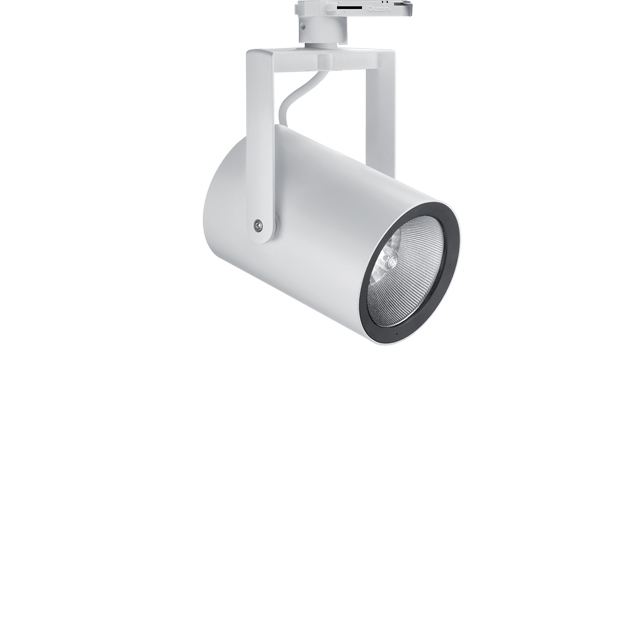 Front Light luminaires fitted on adjustable rods provide the direct lighting, whereas other track-mounted floodlights provide indirect lighting as well as aiming accent lighting at some of the features in the vaults. In the side naves the lighting levels are lower than the central nave that peaks (500 Lux) in the altar area where accent lighting is also used to highlight certain features, like the tabernacle, ambo and bishop's chair. To light the dome, Front Light luminaires have been positioned on the terrace, pointing upwards. Powerful 5000 lumen floodlights with flood optics have been selected here, together with a number of devices fitted with Super Spot 5° optics that highlight the medallions of the saints that decorate the ceiling. In the rest of the cathedral large and medium body luminaires have been installed with a colour temperature of 3000 K and CRI 90 colour temperature. Luminous fluxes of 2000, 3000 and 5000 lumen have been chosen to meet all the various requirements, and the same is true of the optics, which range from wide to narrow, like the 5° Super Spot optic. The use of DALI protocol means that the luminaires can be operated by a single control system that can dim them or create a range of light scenarios for different religious periods and events. This new system has brought back to life a building that was seriously damaged by the 2012 earthquake and offers visitors and believers the chance to appreciate its beauty in a way that is new, better designed and more efficient in terms of energy consumption.